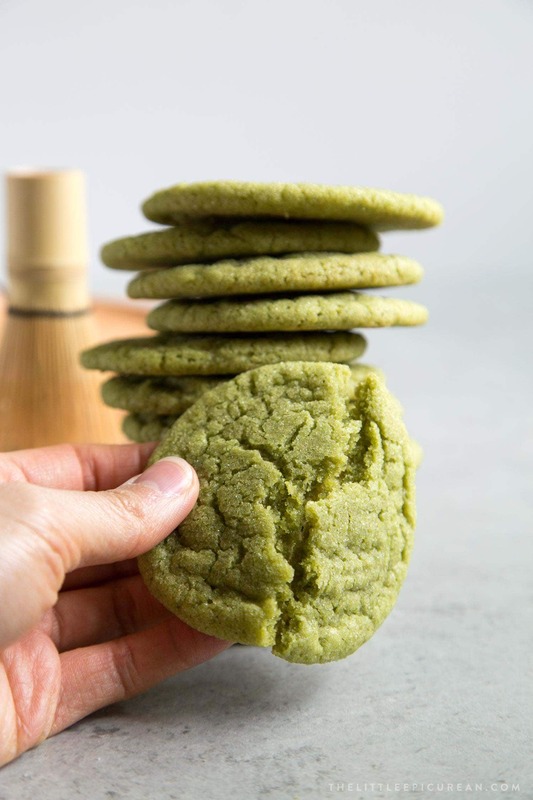 These soft and chewy matcha sugar cookies are super easy to make. 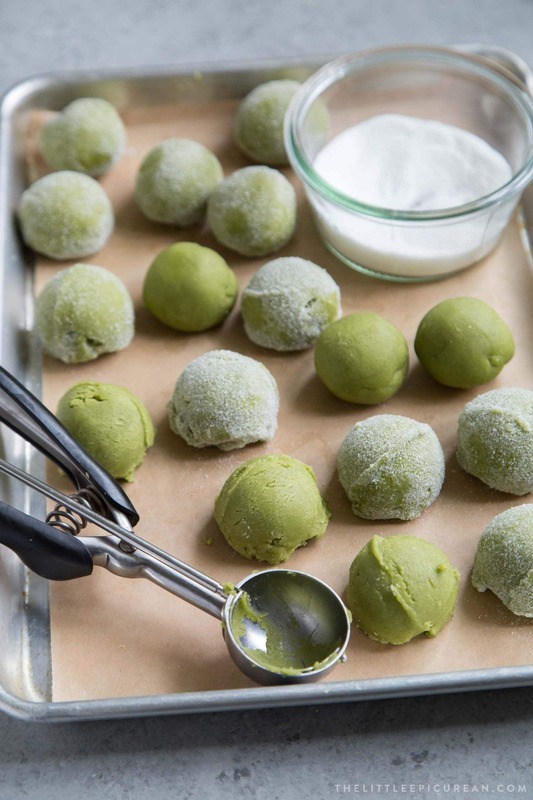 Grab some matcha ice cream and turn these babies into ice cream sandwiches! I love you so matcha! Thank you very matcha! These sugar cookies are so matcha better than snickerdoodles. Okay, that’s enough with the matcha puns. Fans of matcha rejoice! 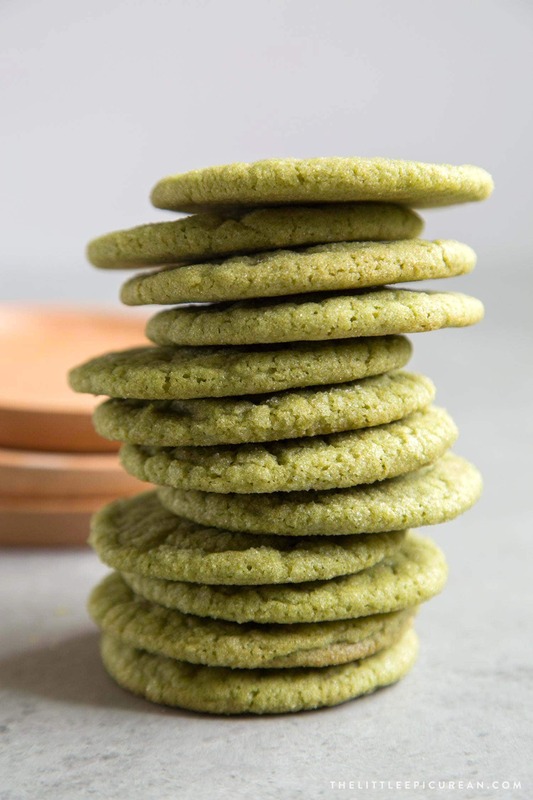 Enjoy a matcha latte in one hand and a stack of these matcha sugar cookies in the other. Sugar cookie cutouts, snickerdoodles, and peppermint chocolate cookies reign supreme during the holiday season. Once the snow starts to melt and signs of spring appear, matcha takes over my kitchen. I associate matcha with springtime due it’s bright green color. Instead of drinking matcha, let’s eat it! To fully extract all the matcha goodness, matcha powder is creamed with butter and sugar. Flavor is carried through fat. As such, it is best to incorporate the matcha into the butter and sugar instead of the dry flour mixture. What kind of matcha powder to use for sugar cookies? At the very bottom is my favorite matcha- it’s from Rishi. I use their “teahouse matcha” for drinking (and sometimes for VERY special baking occasions because it’s expensive). I primarily use their “barista matcha” for everyday baking. 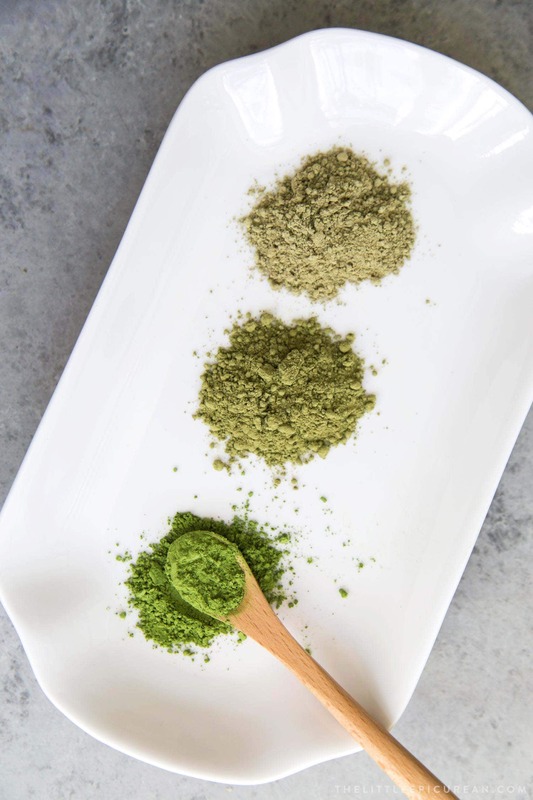 The other two matcha powder examples were labeled as “culinary grade” matcha meant for cooking and baking. These matcha powders look a bit more earthy and brown compared to the bright, vibrant green. In order to achieve the same green as the matcha sugar cookies photographed here, use bright green, high quality matcha. Pricing and labeling will vary. Regardless of whether the matcha is labeled as ceremonial, barista, or culinary grade, pay attention to the color! The color is a big indicator of it’s quality. Also, make sure to use PURE matcha powder. Do not use matcha powder that is already sweetened with sugar or cut with milk powder. Is it necessary to chill the cookie dough? Chilling also prevents the cookies from spreading too much during baking. These matcha sugar cookies are soft and chewy fresh from the oven. They remain pliable for a few days after baking. To refresh, simply microwave for a few seconds. Interested in other matcha desserts? Try this Matcha Red Bean Cake, these Matcha Marshmallows, or this Matcha Panna Cotta. 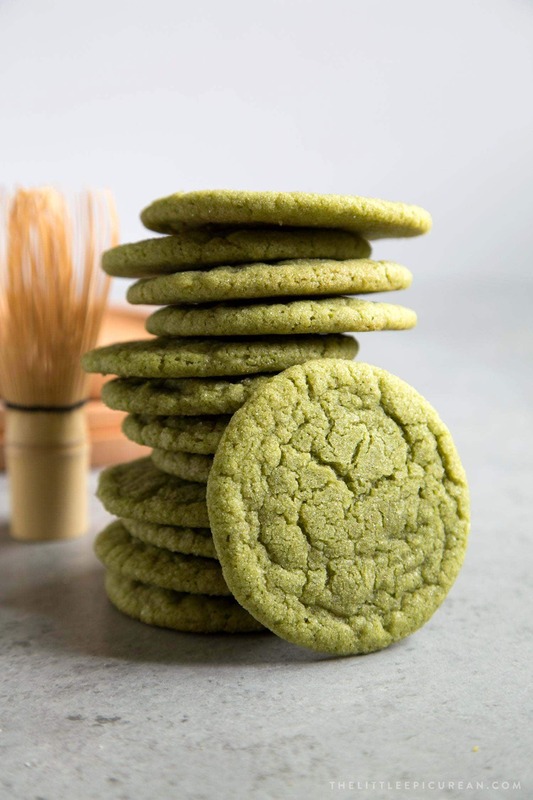 Soft and chewy sugar cookies flavored with matcha powder. In the bowl of a stand mixer fitted with a paddle attachment, cream together softened butter, sugar, and matcha until smooth, about 3 minutes. Add egg and mix until incorporated. Scrape down bowl as needed to ensure thorough mixing. In a medium bowl, whisk together flour, baking soda, cream of tartar, and salt. Add dry mixture to mixing bowl. Mix on low speed until dough forms. Scrape down bowl as needed. Do not overmix. Cover and refrigerate dough for at least 1 hour, overnight is best. Preheat oven to 350 degrees F. Line baking sheets with parchment paper or silicone baking mat. Set aside. Use a 1 1/2 Tablespoon scoop (#40 scoop) to portion out dough. Roll into ball and coat with granulated sugar. Place cookie balls 2-inches apart of prepared baking sheet. Bake 13-15 minutes, until the edges of the cookies are set. Allow to rest in baking sheet for 3-5 minutes before transferring to wire rack to cool. I recommend using Rishi "teahouse matcha" or Rishi "barista matcha" to get the same vibrant green color as the sugar cookies in the images. 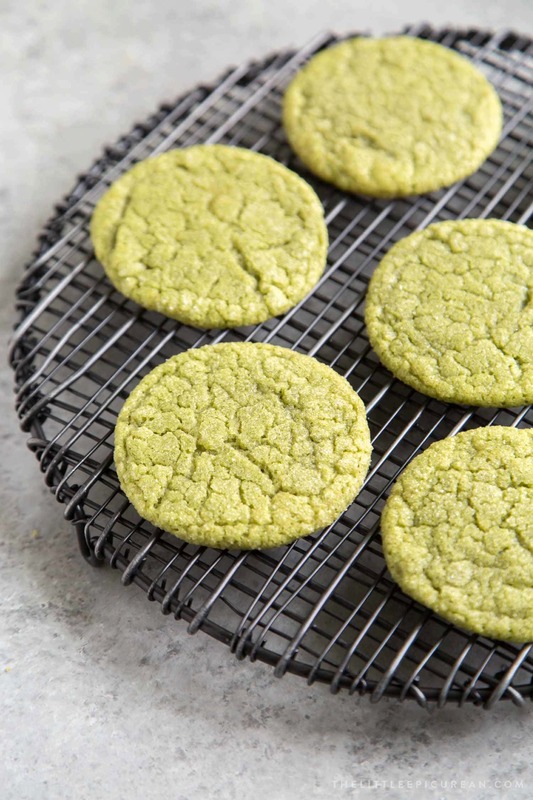 Allow matcha sugar cookies to cool to room temperature before storing. Cookies will keep in an airtight container for up to 5 days.